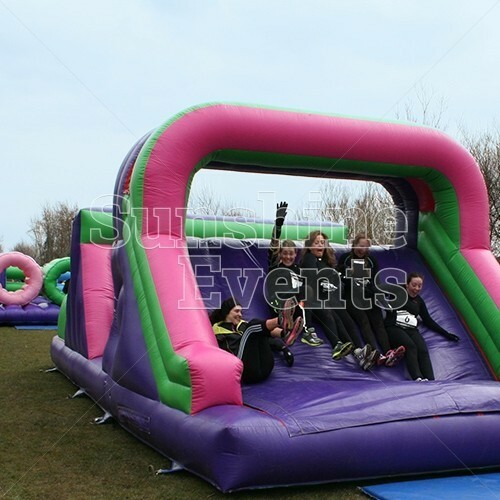 Go that extra step with the Assault Course Run Hire and bring the full-sized Assault Course to your event! 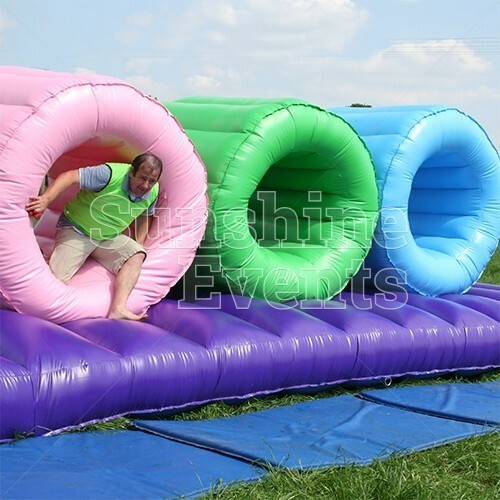 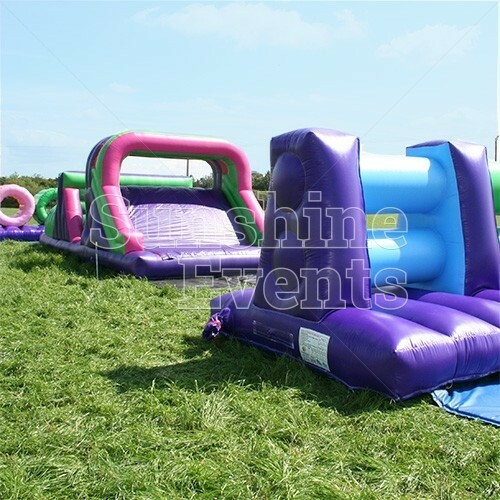 You’ll be bounding and bashing your way through our inflatable obstacles that can be made up to 300ft in length! 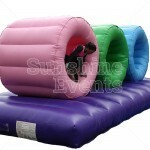 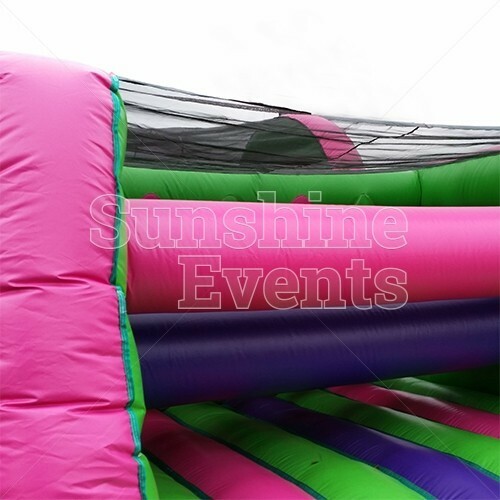 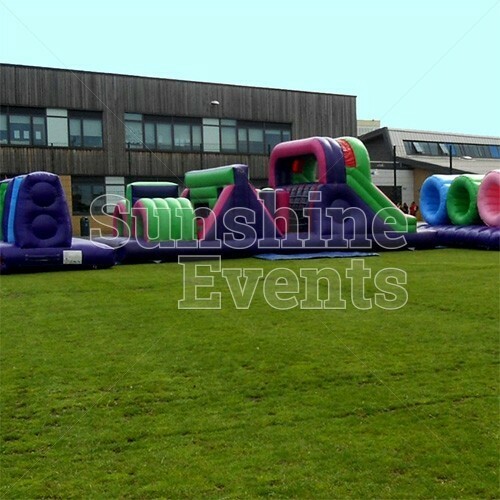 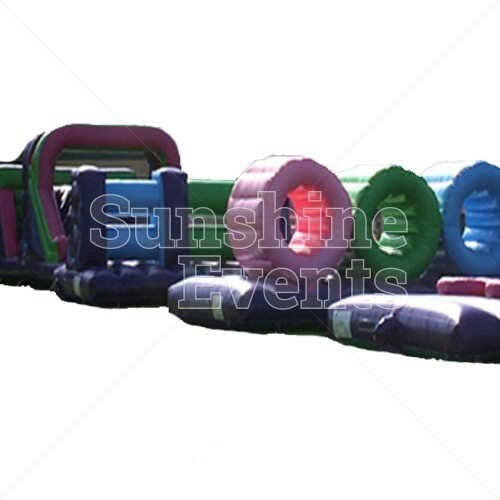 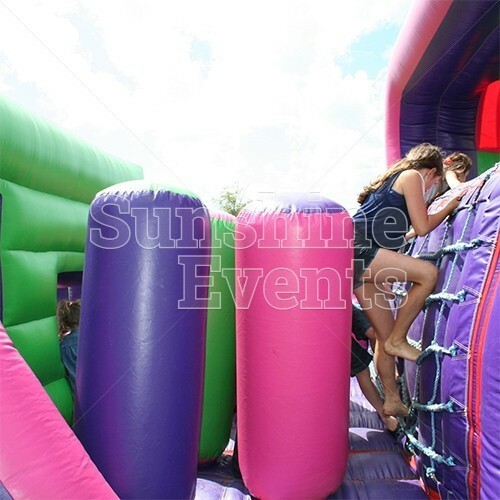 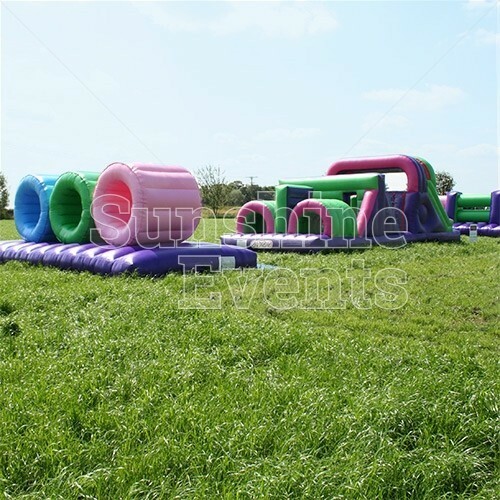 The Assault Course Run Hire comprises of 5 inflatables in total as standard: the main attraction is the Assault Course, which is backed up by 4 add-on sections, which you can choose from: Mangles, Tunnels, Tyres, Hole In The Wall, Scramble Net (Inflatable), Cargo Wall, Log Balance or Bish Bash. 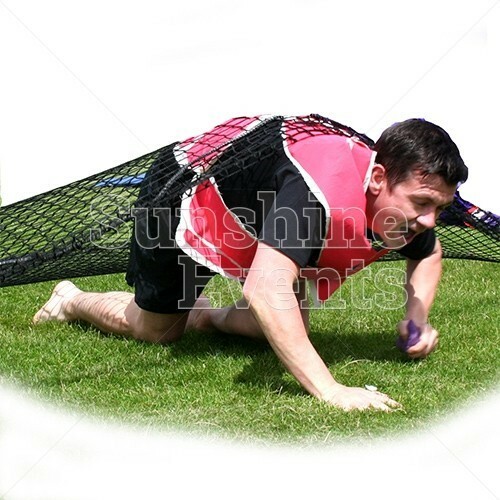 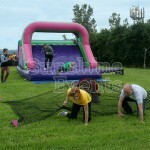 Finally there’s the Scramble Net which, when used on grass, is the perfect way to get your guests fully immersed in the experience. 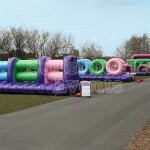 All the inflatables are matching in the same pink, green and purple so the whole run looks amazing when all set out. Whether you hire the Assault Course Run Hire for a Team Building exercise, with teams battling it out to get to the finish line first, or as a main event at a Fun Day event with families challenging each other in a little friendly competition - who will finish first? 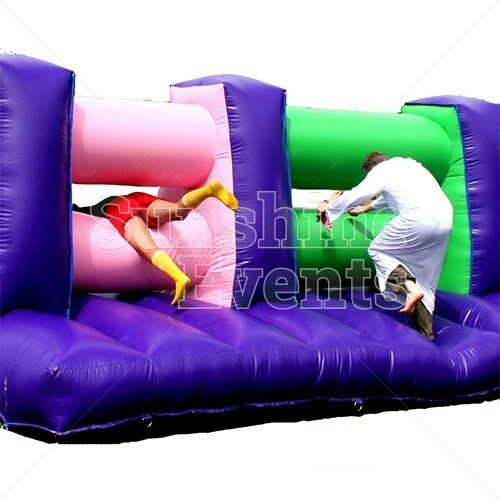 Dad? 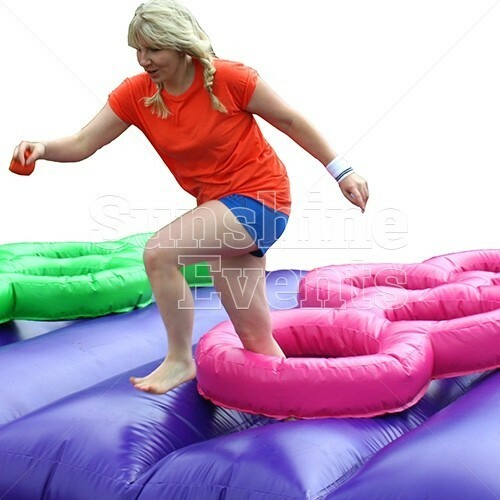 Mum? 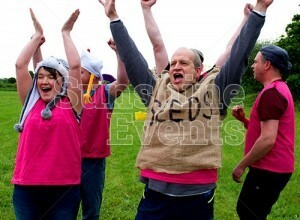 Grandad? 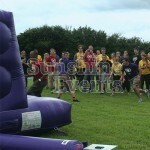 Everyone is getting involved! 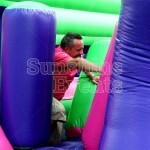 What events are the Assault Course Run Hire suitable for? 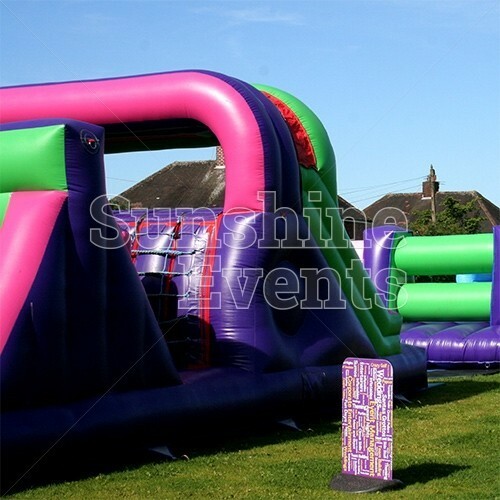 There are various ways the Assault Course Run Hire can be set up so it’s extremely versatile and can be used at all sorts of events! 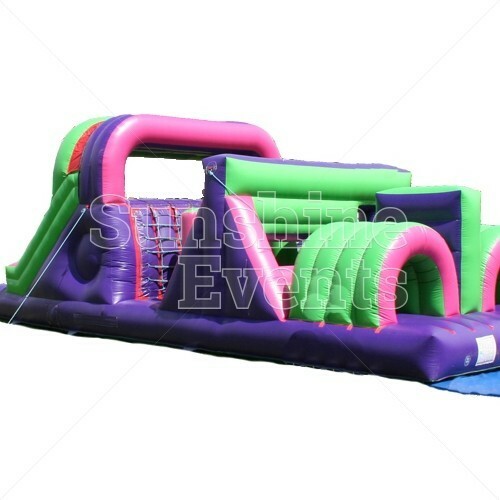 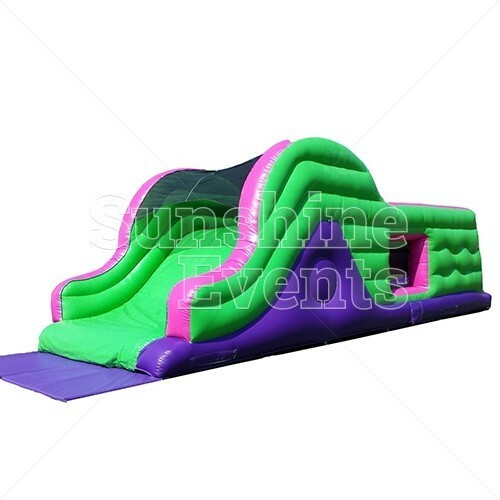 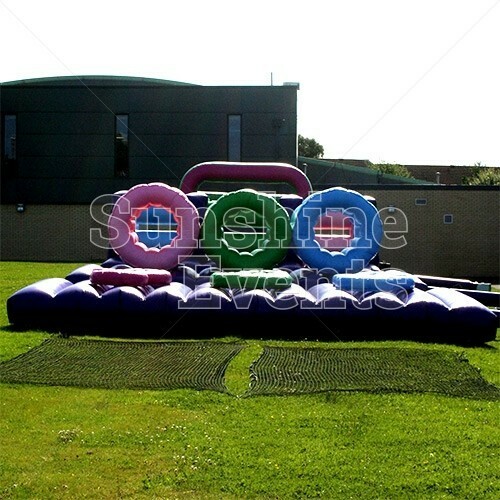 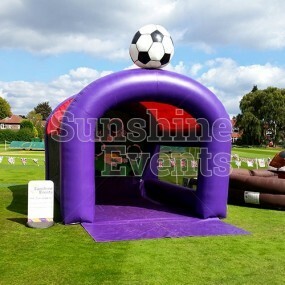 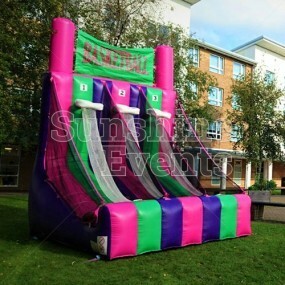 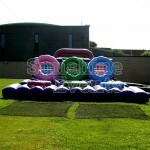 Made up of 5 inflatables and the scramble net - or make it an even more epic challenge by adding on more challenges! 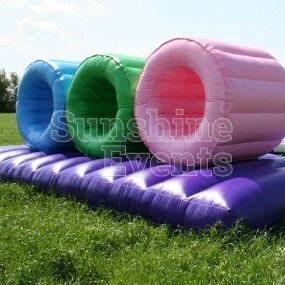 You can reach up to 300ft! 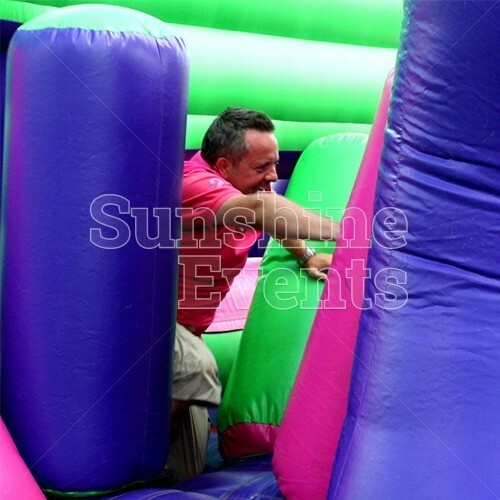 And one last thing, should you fancy a challenge, having beaten all your competitors jumping through tunnels, bashing through barricades, climbing up rope walls and sliding down slides, then we invite you to challenge the Fun Experts at your event… just don't embarrass them too much when you beat them! 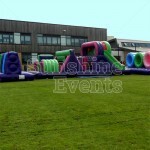 * This equipment can be mixed and matched to suit your specific requirements and space available. 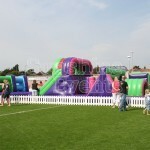 Add On Sections - that's right, you can add even more sections! With our Fun Factory housing a fair few inflatable assault course sections, we could build up your package to a mammoth 300ft! 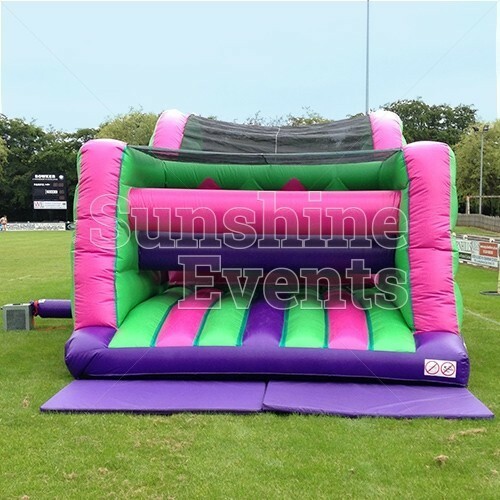 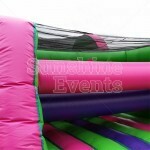 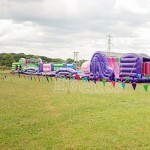 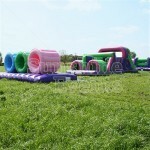 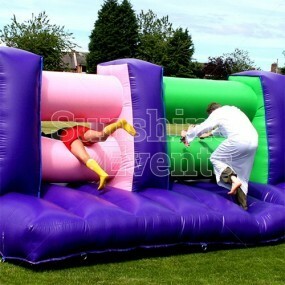 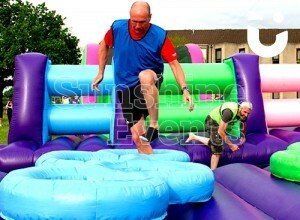 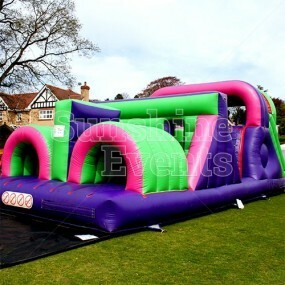 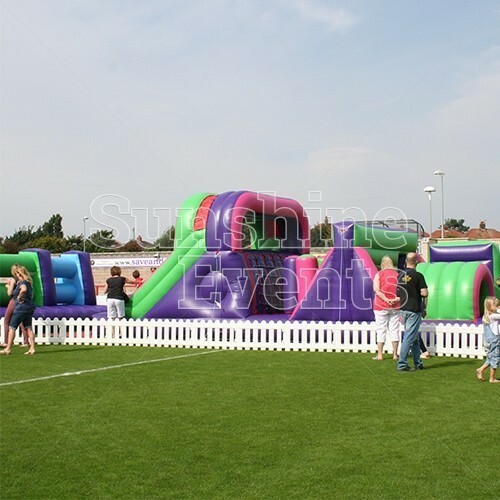 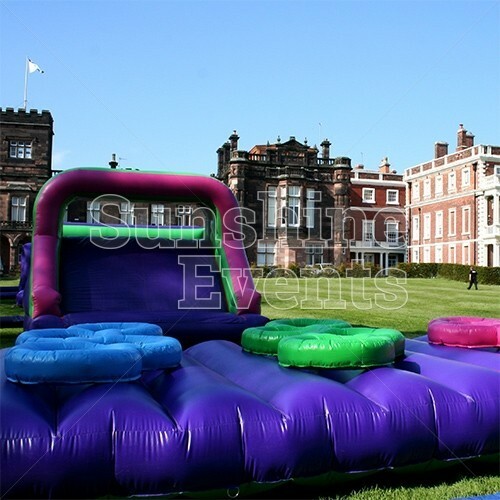 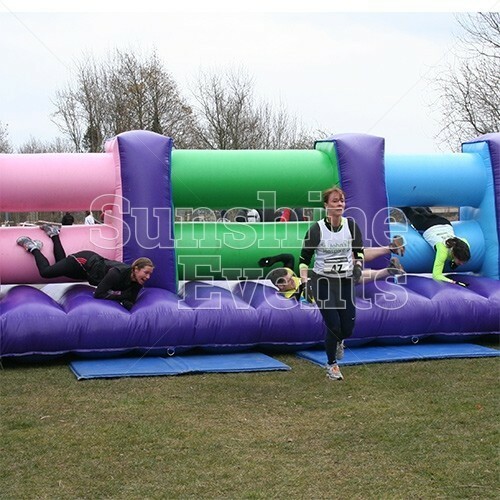 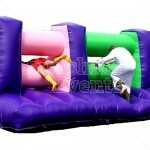 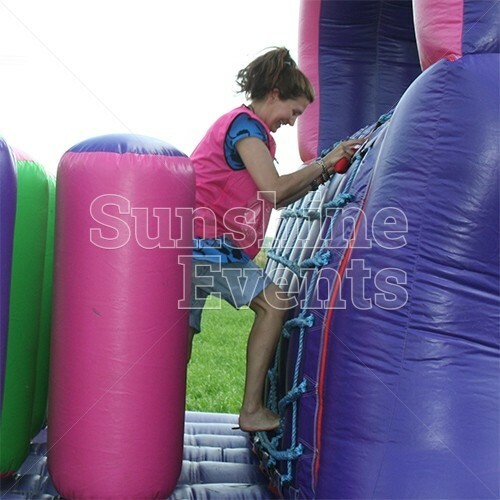 Assault Course Run Hire (multiple sections) has been added to your Event Quote.